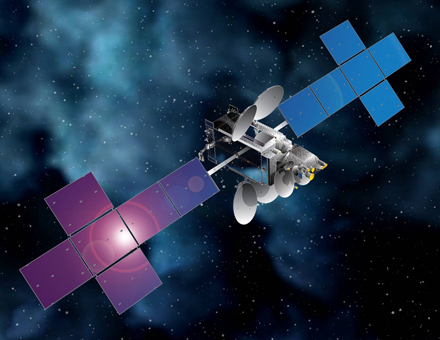 Intelsat 30 is a commercial communications satellite built by Space Systems/Loral for operation by Intelsat, Luxembourg, for DirecTV Latin America that markets the satellite under the name DLA-1 (DirecTV Latin America). 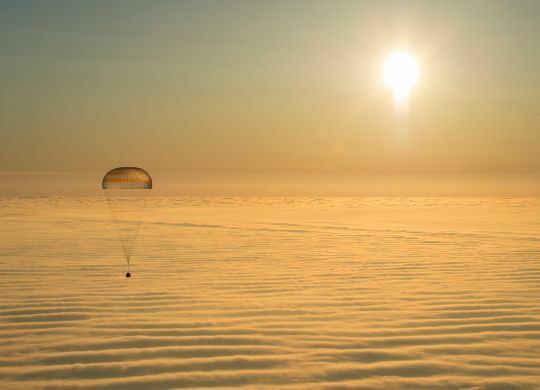 The spacecraft carries a high-power hybrid Ku- and C-Band payload to deliver a range of communication services, primary Direct-to-Home Television. 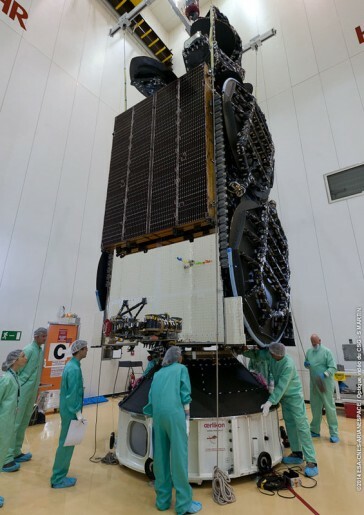 The Intelsat 30 satellite has a launch mass of 6,300 Kilograms and is based on SS/L’s LS-1300 satellite bus. LS-1300 is a flexible satellite platform that can be flown in different configurations to accommodate different communication payloads with a total power of 5 to 18kW. Using different configurations, LS-1300 satellites can weigh from 2,200 up to 6,700 Kilograms featuring payloads of 12 to 150 transponders. LS-1300 was introduced in the late 1980s, but undergoes constant modifications going through a number of revisions over the years. As a high-power configuration of LS-1300, Intelsat 30 uses two solar arrays, each with six panels that deliver 20kW of power to a dedicated system that conditions the satellite’s power bus and controls the state of charge of the vehicle’s batteries. Three-axis stabilization and navigation is accomplished by state of the art navigation sensors and reaction wheels. The satellite measures 8.6 by 3.4 by 3.1 meters in size when stowed for launch. In orbit, with both solar arrays deployed, Intelsat 30 has a span of 32.4 meters. Intelsat 30 sports a powerful communications payload consisting of 72 Ku-Band transponders and 10 C-and transponders using several deployable antenna reflectors. The Ku-capacity will be used in its entirety by DirecTV to deliver DTH services to South and Latin America, the southwest coast of the United Sates and the Caribbean. Intelsat will use the C-Band transponders to deliver a variety of services to expanding markets in South America. Intelsat 30 was built for an operational service life of 15 years located at an orbital position of 95° West in Geostationary Orbit, co-located with Galaxy 3C.